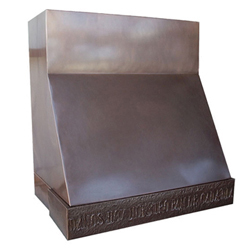 Description: Simple yet elegant, this range hood features a sloped front with flushed sides and a boxed crown. 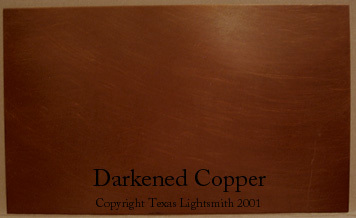 Shown here in dark copper with a custom repoussé text border. 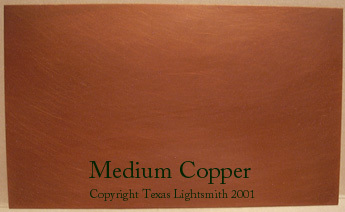 Finished in “Venetian Oil-Rubbed Bronze” on copper. 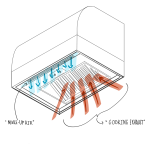 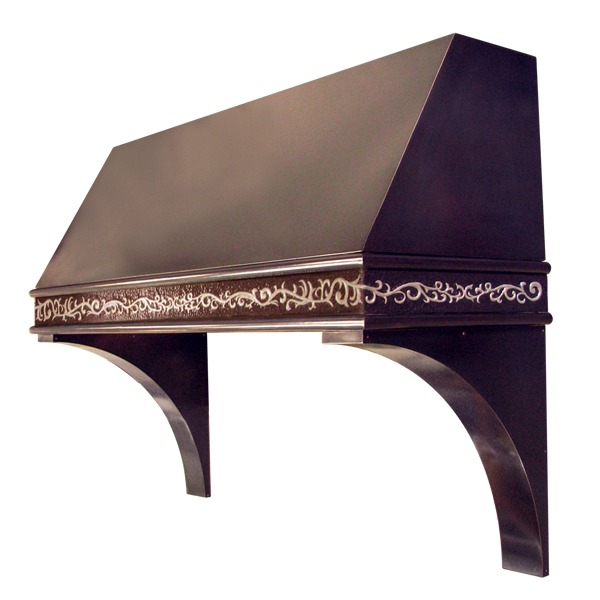 Description: Sloped front with flushed sides and a boxed crown. 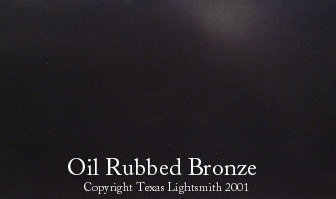 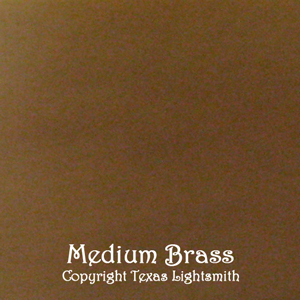 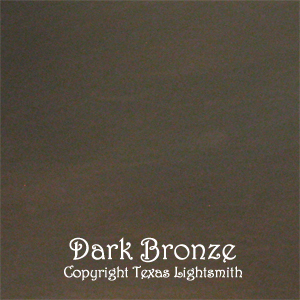 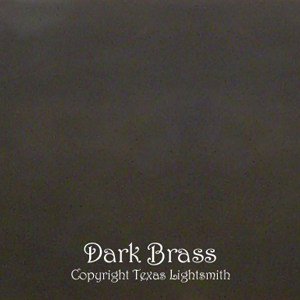 This version is in our “Venetian Oil-Rubbed Bronze” on copper with a custom repoussé text border. 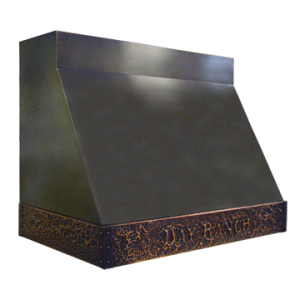 Description: Sloped front with flushed sides and a boxed crown. 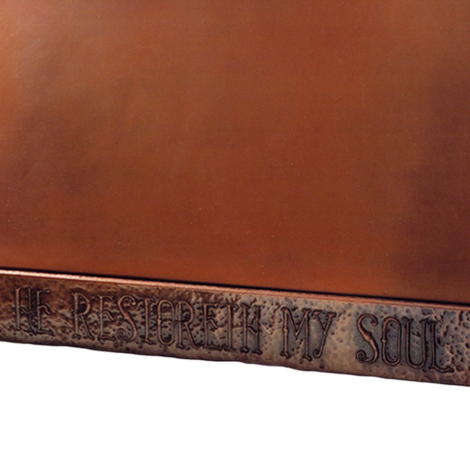 Shown here in dark copper with a custom repoussé text border and hand-dimpled fill. 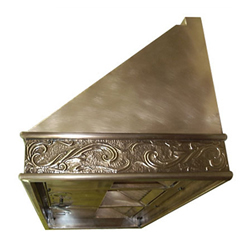 Description: Angled face with flush sides and a boxed crown. 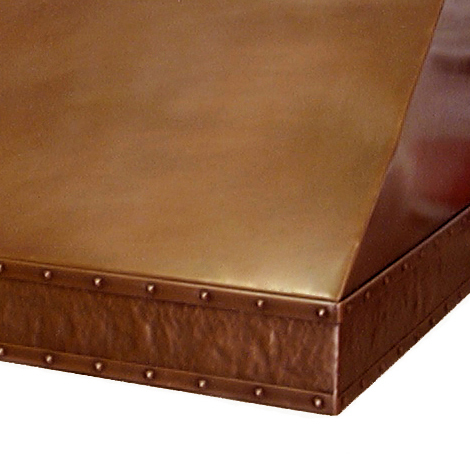 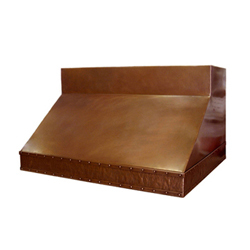 Shown here in medium copper with a hammered border featuring horizontal strapping and decorative rivets. 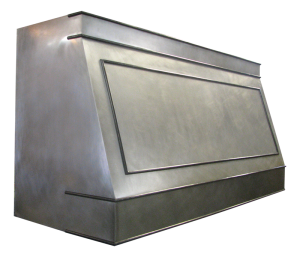 Description: Simple yet elegant, this range hood features a sloped front with flush sides and a rectangular crown. 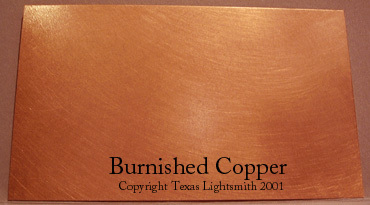 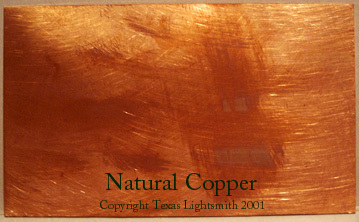 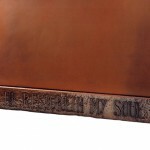 Shown here in burnished copper with a custom repoussé text border and hand-dimpled fill and decorative hammered corner caps. 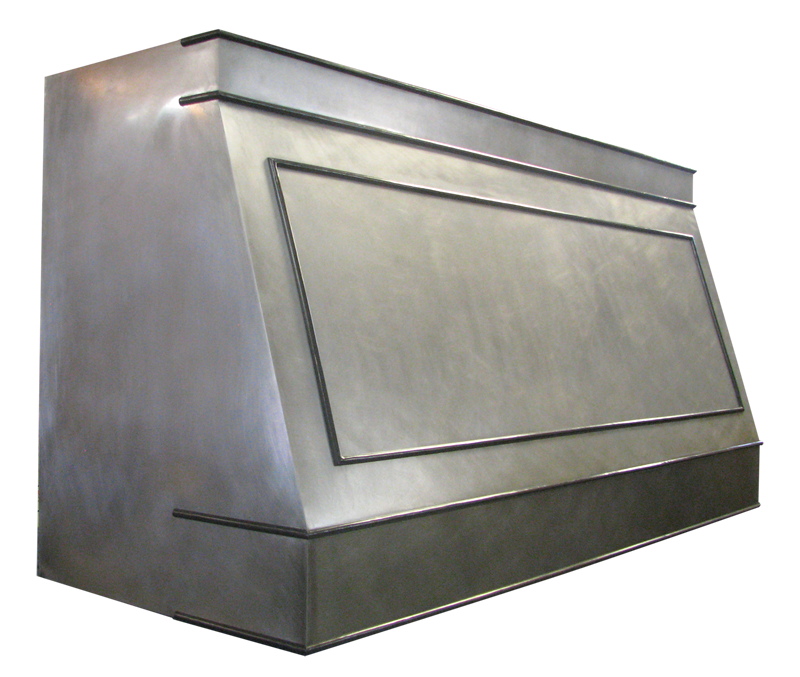 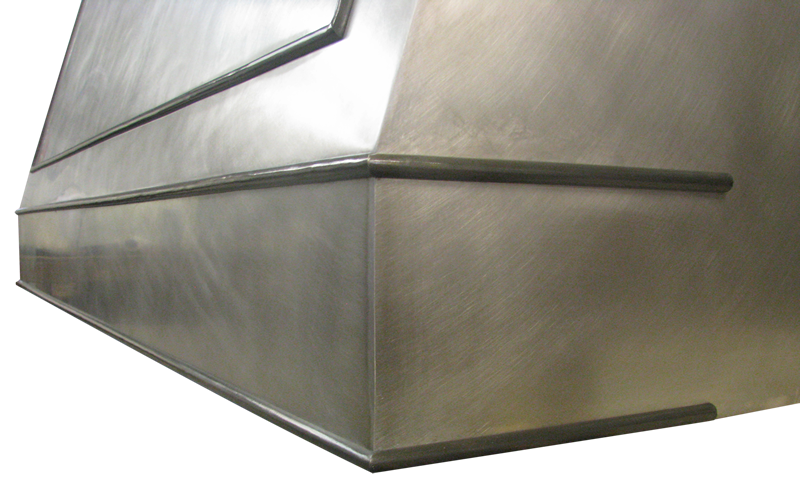 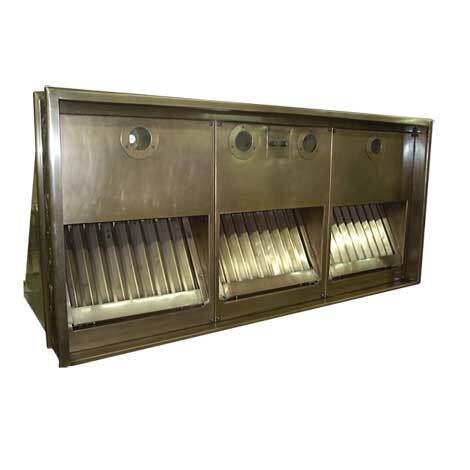 Description: This range hood has angular planes with angled face, flush sides and a flat back. 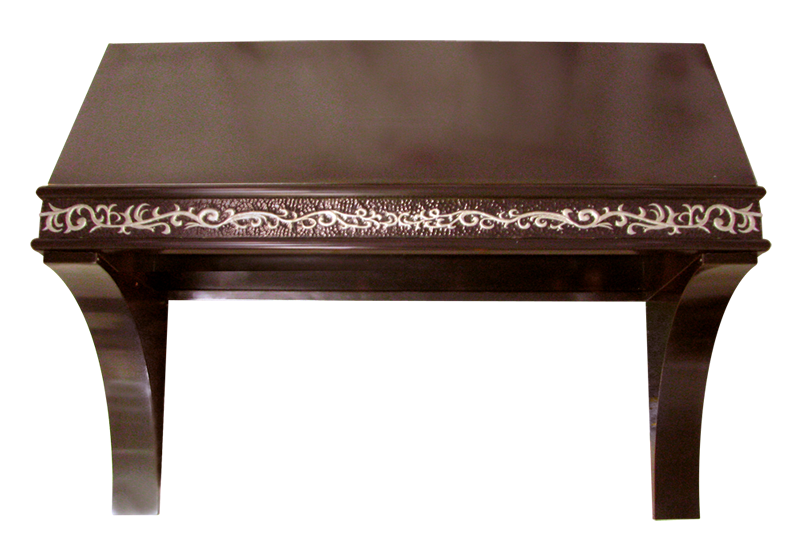 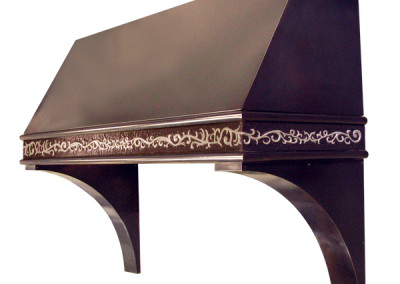 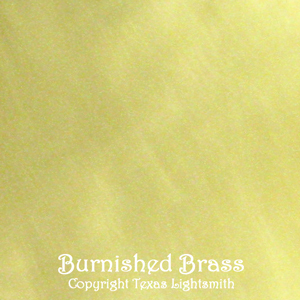 Shown here in burnished brass with a double bull nose border and custom repoussé with hand-dimpled fill. 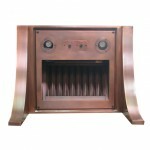 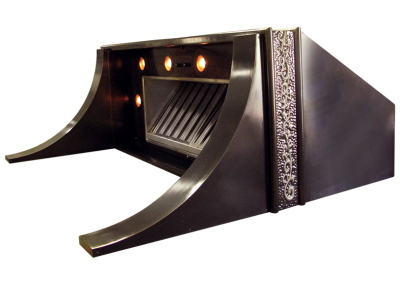 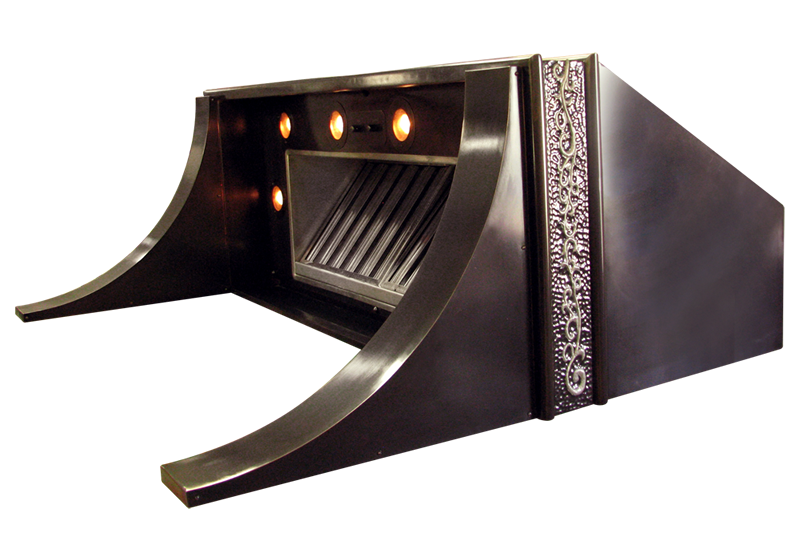 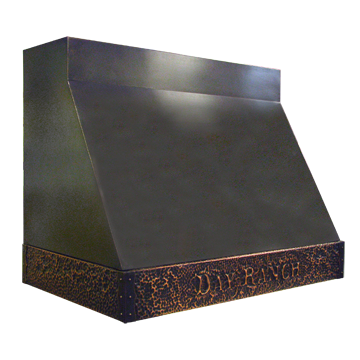 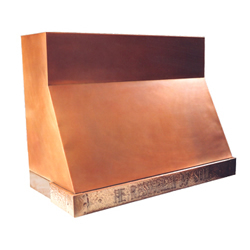 Description: Dark copper range hood with a custom repoussé appliqué border with hand-dimpled fill. 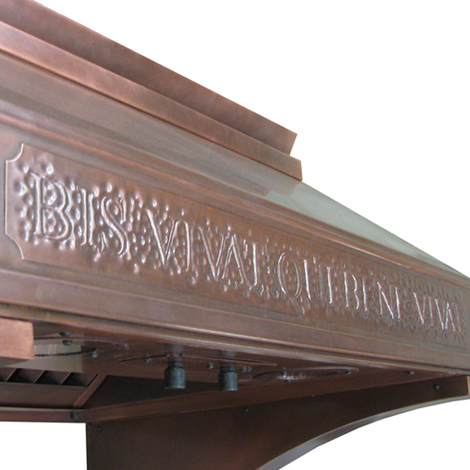 Simple copper corbels and a unique profile in the boxed crown. 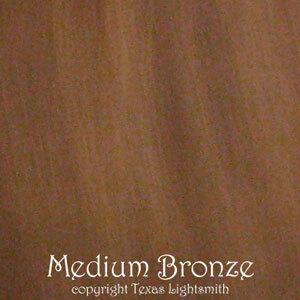 Finish: “Venetian Oil-Rubbed Bronze” on copper. 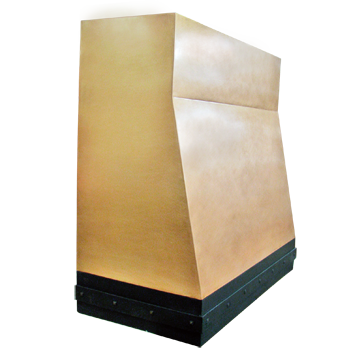 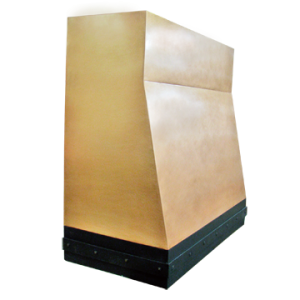 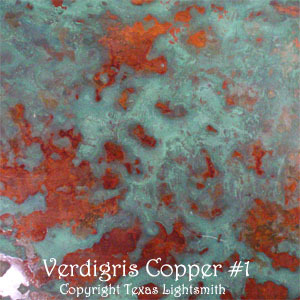 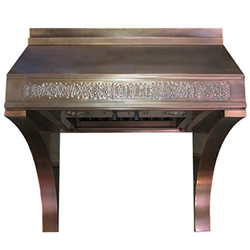 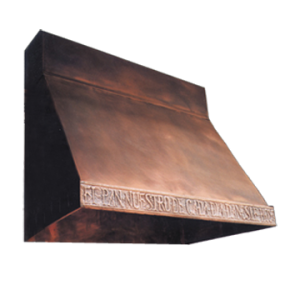 Description: Oil-rubbed finish on this copper range hood with a custom repoussé appliqué border with hand-dimpled fill. Classic copper corbels and a boxed crown. 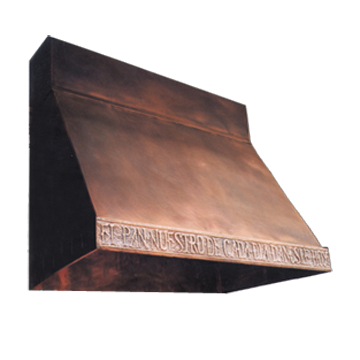 Description: This range hood has angular planes with a sloped face. 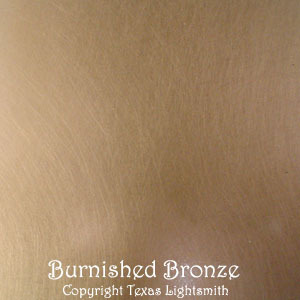 Shown here in Burnished Bronze. 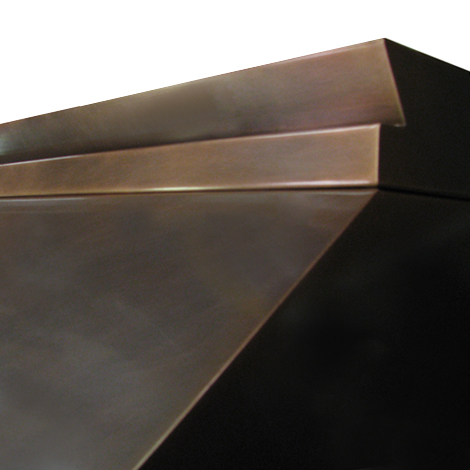 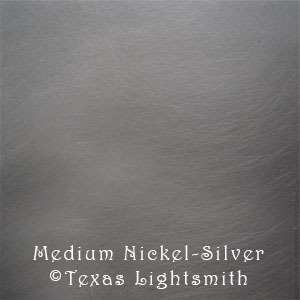 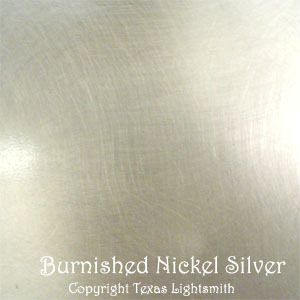 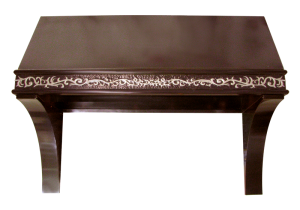 Body and Border Detail: rounded bar trim on body and upper stack, finished in Dark Nickel Silver. 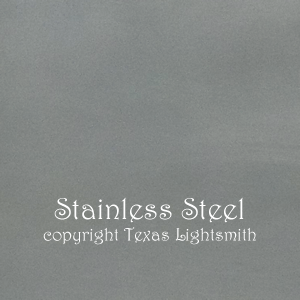 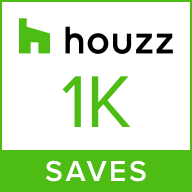 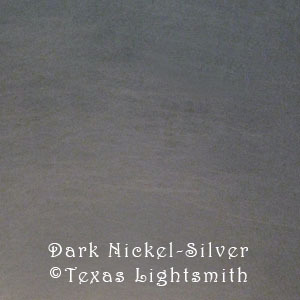 Description: A classic design in stainless steel accented by Dark Nickel Silver trim on the face and flue stack.